It's that time of year again, spring brings a lot of different things here in Oklahoma, but one of the best is the Gypsy Cafe Music Festival, now in it's 7th year, held in Stillwater. The Red Dirt Relief Fund hosts this musical family reunion of sorts in order to help raise money for their amazing organization, which helps musicians and those in the industry when emergencies arise. There are many different ways to get involved with RDRF but attending Gypsy Cafe and participating in the silent auction might be one of the most enjoyable of those. Red Dirt Relief Fund, a non-profit organization that provides a safety net of critical assistance to Oklahoma musicians, took over management of the festival in the fall of 2013 after Red Bull hosted the event in spring of 2011 and 2012. In 2017, the festival raised $20,000 for Oklahoma musicians in need. Since the Red Dirt Relief Fund was founded in 2012, it’s provided over $80,000 to musicians in need. You can find out more about RDRF by visiting their website here. Gypsy Cafe, which will be held on May 2nd, is yet again filled with an amazing line up of fantastic Okie talent. 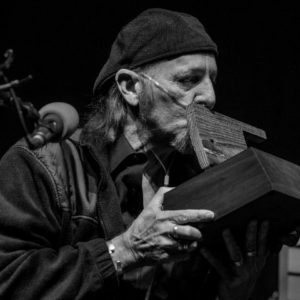 Last year was the first year RDRF gave The Restless Spirit Award, which was awarded to Jimmy LaFave before his passing. No doubt this year's award will be just as memorable and heartfelt. This is also the first year for the Jimmy LaFave SongWriting contest, and the winner will be announced during the event. There are 3 venues, Stables, Stonewall and Eskimo Joe's, with staggered start times for the acts, giving you the chance to try to see a bit of them all. The streets are lined with food and vendors, and red dirt lovers from all over come to take part in this magical day of music. Many times the musicians who stay so busy with their own schedules don't have time to catch up with one another except for the times they are billed on the same event, making this the family reunion that most of them look forward to each and every year. There's so much love and excitement in the air at the event each year that it creates this extraordinary vibe that encapsulates the entire event, creating this magical experience of being a part of something so much bigger than yourself, of being a part of the red dirt music family. We all know that the red dirt music family has such a big heart for reaching a helping hand out to one another, which is the whole essence of the red dirt scene, it's more about the community and camaraderie than it is about the music. However the music is pretty damn amazing in and of itself as well. You definitely don't want to miss out. You can purchase tickets in advance for $20 by going here, or they will be $25 the day of the event. LittleOkieLand is giving you a chance to win 2 tickets for the event, all you have to do is leave a comment below and tell us which artist you are most excited to see and why, and share this post on social media (Facebook, Instagram and/or Twitter), make sure to tag us so we can see it. A winner will be chosen randomly and announced in the comments below and on our social media pages on Friday the 27th. Good luck!